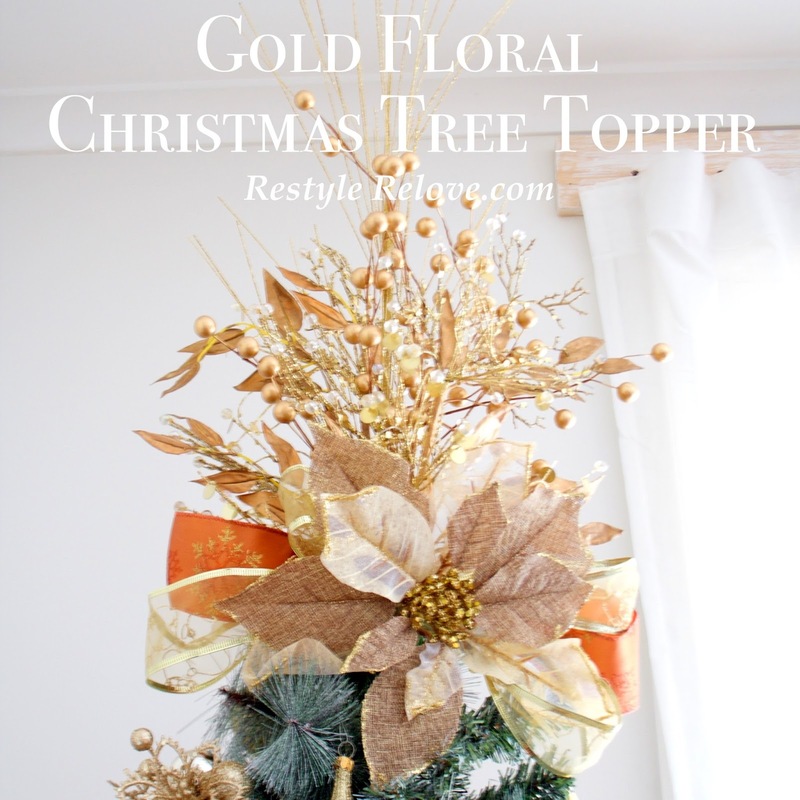 Before I reveal this year's Christmas tree, I wanted to share my DIY gold floral topper. 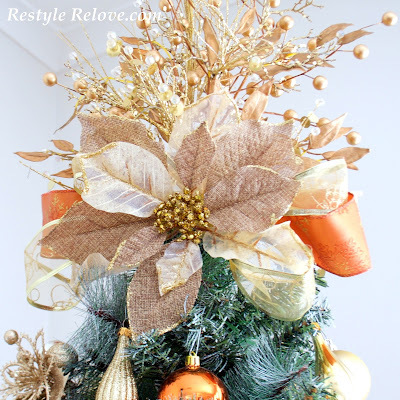 unique and pretty DIY tree toppers. I thought I'd give my own a try. Following the instructions of some very creative people on Youtube, I started with two fancy picks I pulled apart from last year's Christmas Angel wings. 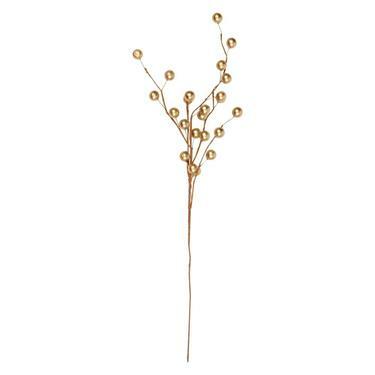 I purchased 3 bronze tone bead sprays from Spotlight and popped them in the middle. I had a gold little spray from last year that I put in the centre of everything. 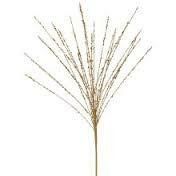 I used some black wire to tie the stems together twice, once at the top, and then down about 5cms. Then I positioned it on top of our tree and used some more wire in two places to secure it to the centre of the tree. Next I purchased some reels of wide Gold Snowflake and Gold Glittered Swirl ribbon at the Christmas Warehouse and made few large loops and tied them to the centre of my topper. Lastly I added a beautiful big flower I purchased from the Christmas Warehouse this year as a centrepiece for my tree topper. I can't wait to share my entire tree with you soon! Very pretty and creative. 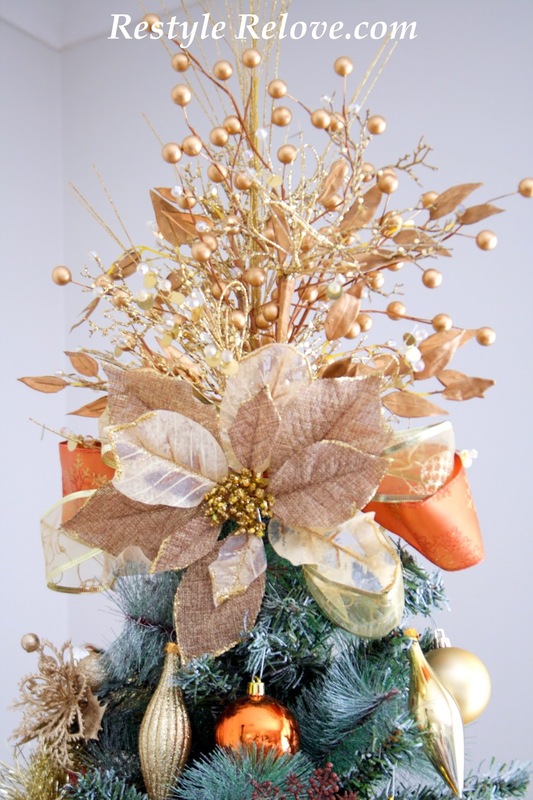 Nice texture from poinsettia. It is beautiful, can't wait to see the tree that goes with it! Very glittery and pretty Julie!